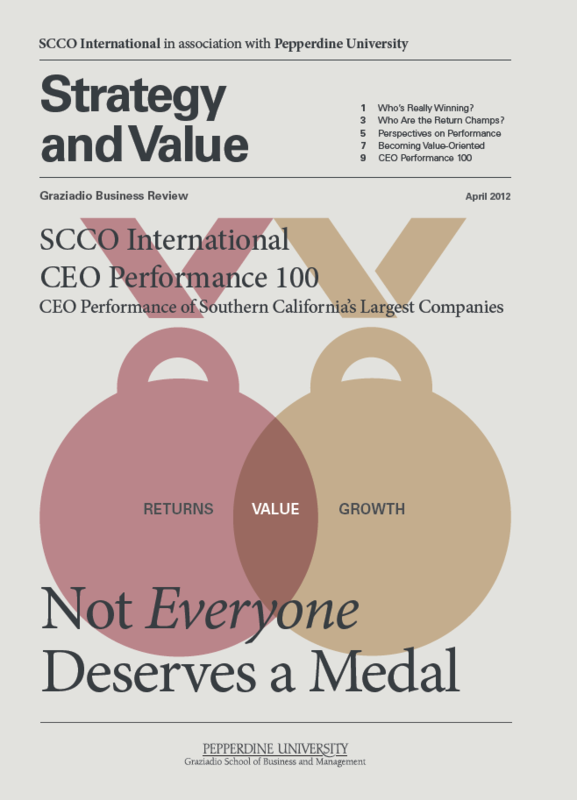 Today SCCO International and the Graziadio School of Business and Management released the 2012 CEO Performance 100, which ranks CEO performance of Southern California’s largest companies. The report names Occidental Petroleum’s CEO, Stephen Chazen, as the top value creator in Southern California. In 2011 Occidental had the highest absolute value creation with $3.4 billion in economic profit, an increase of $1.6 billion over its 2010 results. Occidental was followed closely by Amgen, with an absolute economic profit of $3.2 billion. ← Designing? People are busy, keep it simple.